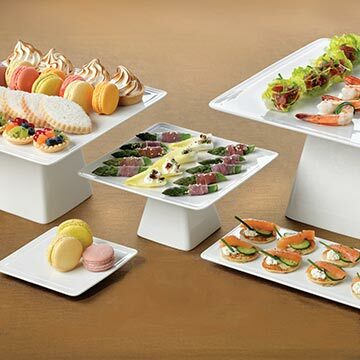 Syracuse's Slenda China Dinnerware has the style and versatility needed for use in any restaurant or banquet setting. The White Royal Rideau color of this pattern allows every item to seamlessly blend with several other dinnerware patterns, allowing for unlimited presentation possibilities. In addition, the porcelain construction provides an added element of durability while the lifetime no-chip warranty provides you with a long, high-quality service life.